Hope & Rocks & Spider Webs! But that’s not what the Bible means when it uses the word hope. When scripture talks about hope, it’s not talking about some folly or wish. In the Bible, the word “”hope ”means a deep-seated confidence. The words that are translated as “hope” are also translated as confident, trust and rely upon. Perhaps you’ve heard that explanation before. I know I had. I learned something interesting about one of the words translated “hope” in the Old Testament, however, that brought the definitions to life. The word we’re looking at is tikva, and it literally means “cords,” with the implication being “bound with cords.” In other words, we are bound to that which we put our hope in. Let’s look at Scripture. We’re going to start (and end) in Psalm 40. In my last blog, I wrote about listening for the Lord each morning and some of the things He wants to say to us. Today, we’re turning the tables a bit and looking at what happens when God listens for us. Those fourteen words fill me with such excitement. First, the words translated “waited patiently” is actually the same Hebrew word repeated twice. The word is qawa (pronounced kaw-vaw, accenting the second syllable). It is the root word from which tikva – hope – is derived. It literally means “to bind together (perhaps by twisting)”. The first half of the verse could also be translated “I bound myself to the Lord – I put my hope in Him.” David then went on to write that two things happened when he trusted God. The first thing is that the Lord turned to him. When we trust in God, He moves closer toward us. Another translation says He “inclined to me”. You could say He stretched out toward me. Friends, there are many things I don’t understand about Scripture, but I am increasingly coming to understand that when we actively believe and trust God, it activates something in the spiritual realm. It moves God closer to us so to speak. The second thing that happened is that the Lord heard David’s cry. The Lord is always listening for our cry. He always hears it. God is always listening – and when we put our trust in Him, He turns and responds. You know, when we forget to listen to God, we make a mess of things. We fall into the slimy pits that Satan puts in front of us. We fall into the muck and mire and get sucked in by our own self confidence and pride. We make a mess of things. But when we cry out to the Lord, He lifts us up. He sets our feet on a rock. He doesn’t set me on the edge of the pit where the mud is still a bit slippery. He sets my feet on a rock and He gives us a firm place to stand. As I was thinking about this, the picture of a small child learning to walk came to mind. Their parent helps them to stand and they wobble a bit back and forth. The parent doesn’t let go until the little one has firmly planted his feet and stabilized himself a bit. Then, the parent lets go, but keeps his arms loosely around the child ready to catch the child when he falls. God is like that. He makes sure our feet are firmly planted – the word can also be translated “established” – before he gives us a bit of freedom. But He is always there to catch us when we cry out to Him. “He set my feet on a rock.” A rock is solid. It is immovable. And throughout Scripture, God is described as a rock. 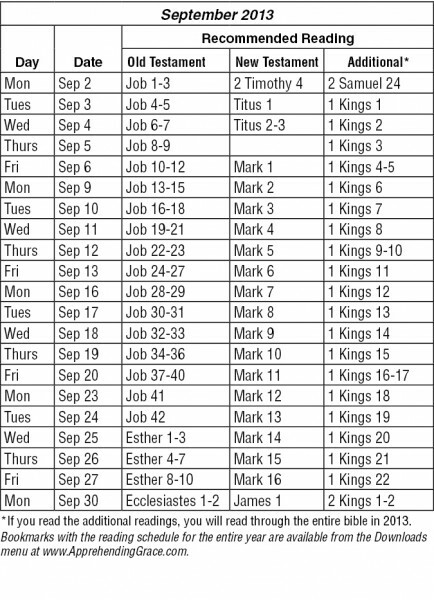 30 God’s way is perfect. All the LORD’s promises prove true. He is a shield for all who look to him for protection. 31 For who is God except the LORD? Who but our God is a solid rock? 8 Trust in Him at all times, you people; pour out your hearts before Him. God is our refuge. God is our solid rock. When we put our hope in him, we are secure. How secure are we? Remember, the word hope comes from a word that means bound by cords. When we put our hope in Jesus, we are bound to him. Imagine the strongest cords you can and then imagine them wrapping around you and the Lord. And every time you choose faith – every time you choose to put your hope in God – those cords are wrapped more securely. It’s like they encircle us again and again each time we choose to trust God, with each layer of cord making us more and more secure. But, I find that the more I trust God, the more I sense the cords that hold me secure. God is the rock to which we’re bound. Hallelujah! When David thought about this, He wrote songs of praise. The LORD lives! Praise be to my Rock! Exalted be God, the Rock, my Savior! As I was studying hope, I was surprised to find myself in Job. Many people consider Job to be a pretty depressing book, so I was surprised to learn so much about hope from it’s pages. Scripture describes Job as a man who was blameless and upright. A man who loved God. He was also a very rich man, described as the greatest man in all the east…Until Satan took everything from him. He lost his house, his children, his animals, his livelihood, and eventually his health. He was left to sit at the gate and beg while dogs licked the sores from his body. Even his wife encouraged him to curse God and die. After he had lost everything – after he was no longer the richest man – no longer the man that everyone looked up to and even envied – no longer a man who could provide for his family…After he had lost his children and his money and had no ability to care for himself..After his wife told him to give up on God, to curse God and die…After all that, Job made an astounding declaration of faith. 25 I know that my Redeemer lives, and that in the end he will stand upon the earth. 27 I myself will see him with my own eyes – I, and not another. How my heart yearns within me! Job was securely bound to God. His hope was secure. He was fully confident in God. He knew that when his body was destroyed, he would still see God. Job knew that nothing was going to separate him from his rock. 13 This is the destiny of all who forget God; the hope of the [person without God] will perish. 14 His source of confidence is fragile; what he trusts in is a spider’s web. 15 He leans on his web, but it doesn’t stand firm. He grabs it, but it does not hold up. The hope of those who forget God will perish, Job wrote. Their hope will fail. If their trust is in anything other than God, their trust – their confidence – is fragile. It is like a spider’s web. When they lean on the web, it doesn’t hold them up. When things in life come at them and they try to grab onto their hope, it falls apart in their hands. Now remember a time when you’ve walked into a spider web (or perhaps a cob web if the spider web has too much of an eeoow factor). If you’re anything like me, you begin to scream and thrash around, trying desperately to find the web (and the spider that lives in it) and get it off of you. But there’s nothing to grasp. It’s there, but it’s not there. It doesn’t hold up. Friends, if our faith is in our strength, our youth, our wisdom, our finances, our friends, our spouse – anything other than Jesus Christ, the holy Son of God – our hope will perish. Perhaps I should write “when” our faith is in any of those things, our hope perishes – because I find it easy to slip into trusting those things sometimes. When our faith is in any of those things, we will fail. We will reach for our faith and it will disintegrate in our hands. We will try to lean on it and we’ll fall over. It is like a spider’s web. But if we trust in Christ – when we trust in Christ – we know that the object of our faith is sure and true and strong. We have a firm foundation. We know that it will never fail us. Now let’s go back to Psalm 40 and look at what happens when we put our hope in God and He turns and hears our cry. David, a man that God described as a man after God’s own heart, wrote that when he waited patiently for God, God turned and heard his cry. Then God reached down a lifted him out of the slimy pit he had found himself. He lifted him and put his feet on a rock. God gave David a firm place to stand. But God didn’t just leave him there to stand. He put a new song in David’s mouth – in other words, he filled David with joy and song. And the result is that others will see and put their trust in God. David confirms that the man or woman who puts their trust in the Lord is blessed. So friends, I want to encourage you to put your hope in that which is firm, that which is the solid rock. Put your hope in the Lord. Let’s not trust in our own efforts because they’re like the spider web. Jesus is the rock. Is there an area in your life where you need to put your hope in God? Is there an area in which you’ve fallen into the pit of self-reliance or trusting in anything other than God? Spend a few minutes with God right now and ask Him to forgive you for trusting in that spider web and then place your situation in His hands. Put your hope in Him. He’s the rock to which you want to be bound. Footnote: Word definitions and discussions are based on Strong’s Talking Greek and Hebrew Dictionary. Comments Off on Hope & Rocks & Spider Webs! There are many things one can say about King David. Obviously, he was a King. He was a victorious warrior. He was persecuted. He was a sinner. He was described by God as a man after His own heart. What has the strongest impact on me is that he was a man of praise. Whether running from Saul, winning tremendous victories or repenting from sin, David praised. He tasted the highest highs and lowest lows that mankind experiences. And he praised. As I came to his song of praise in 2 Samuel 22 (today’s Resting at the River’s Edge reading), I was expecting a chapter like most other chapters in 2 Samuel. I was wrong. 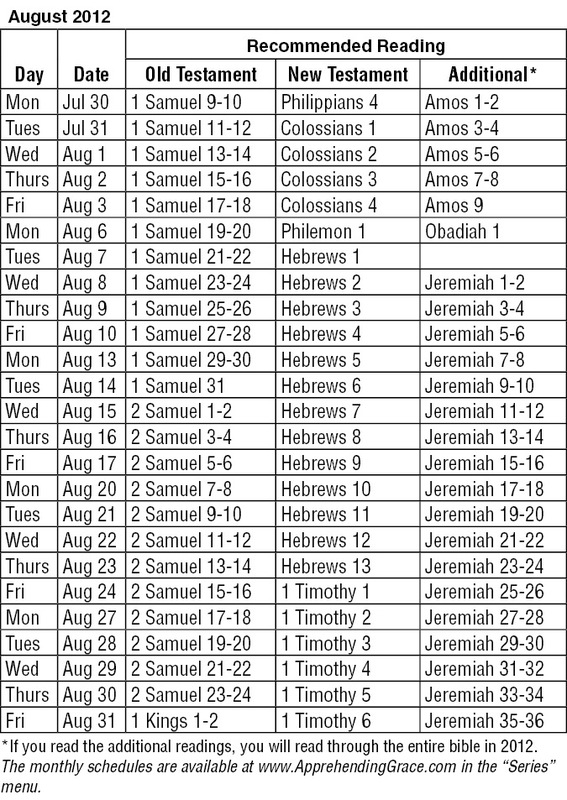 This is the longest chapter in the book of 2 Samuel and it is one of only a handful of chapters dealing with only one topic. At 51 verses, it has nearly 50% more verses than any other chapter in 2 Samuel and its single topic is praise. David’s praise is “crafted.”It has the characteristics of something that has been written and rewritten so that the meter and rhyme worked (in its original language) and so that it could be easily remembered and sang. I’m not a song writer , a poet or an artist. Yet there is value in taking time to think through the reasons we have to praise God and to shape those reasons into something that pleases God. In today’s world it might be a song, a poem, a blog, a piece of art, a scrapbook, a Pinterest pinboard or YouTube video. It took David a bit of time to write this praise– undoubtedly at least an hour or two, perhaps many times more than that. The song praises God specifically for who He is and for what He’s done. David “worked” at developing this praise.That may seem like a contradiction. We tend to have the perspective that praise should come naturally and when it doesn’t it feels like we are being hypocritical. Ignore your feelings. They are wrong. We are commanded to praise God. That means we’re to do it whether we feel like it or not. We’re to offer a “sacrifice of praise,” which is a phrase that is used repeatedly throughout the Bible. That means we’re to do it whether we feel like it or not. David’s praise gave Him confidence in God.As you read through the 51 verses, you see David’s confidence in God grow as He praises God for His faithfulness and for His sovereign power. 29 “O LORD, you are my lamp. 31 God’s way is perfect. 32 For who is God except the LORD? David’s praise was the result of a lifetime of triumphs and struggles. But a lifetime of triumphs and struggles don’t always result in a life characterized by praise. It is by praising – by practicing praise during those triumphs and struggles that our life become characterized by it. I want my life to be characterized by praise. That means developing the pattern of spending time with God crafting my praise, working at it even when I don’t feel like it, and praising Him when it looks like I’m about to go under. Friends, let get our praise on! 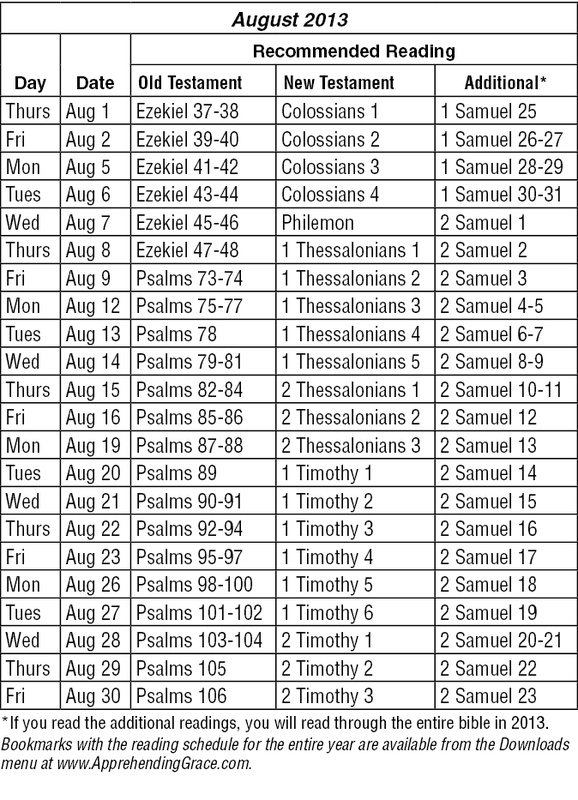 Track your reading along with us using the table below, the downloadable half-page PDF or the July/August bookmark. Share with others what God is teaching you. E-mail me, leave a message on the Apprehending Grace Facebook page, or post a comment at the end of any blog. Enjoy God as you begin to enjoy summer! There is only one man God referred to as “a man after my own heart” – King David. Wow! What a way to be known by God! We know that the King was not without his flaws and not without sin, but what earned him the title of “a man after my own heart” was his deep, passionate love for God. God saw into King David’s heart and knew that he had found a friend – someone who would stand by His side forever. With that as a backdrop, it seems appropriate, even beneficial to study this Psalm. What you’ll find is that such a study will be quite different from most because the Psalm is quite different from all others. It is more than twice as long as any other Psalm, and is written in a distinctive manner. In other words…it’s a worthwhile read. I find it fascinating that when King David decided to put pen to paper in this unique Psalm, when he wanted to write a poem or song that started each verse with a different letter of the alphabet and worked through all the letters, from A to Z (so to speak), the subject he chose to write about is God’s Word. It wasn’t God’s grace or His mercy or His compassion or His love. It was His Word. David’s love for God was so deep and so passionate, that David loved each Word that came from Him. As we look at a few verses related to each theme, I’m sure you’ll find some that are quite familiar to you. And as we look at them together, I’m praying that God will use David’s words to ignite a love for God’s Word in each of us. David describes God’s statutes – His laws – as a delight! They are not burdensome as some might consider them, they are a delight. We’ll see why when we look at what David says about their value. David is so confident in God’s statutes that he uses them as counselors. In other words, he uses them to help make decisions. Is God’s Law more precious to you than your gold and silver? More precious than your job and paycheck? When that’s true, we act differently on the job. We are better employees in most ways – because we are obedient to God’s laws about respecting our employers, working diligently and honestly, and being kind and having a positive attitude. Oh, to have the love for God’s law that David had. Lord, help me to meditate on it all day long! Help me to keep it in my mind while I work through my days. Those who follow God’s laws are blessed. It’s the simple principle of sowing and reaping. Living according to God’s laws puts us in a position to receive His tremendous blessings. Conversely, walking outside God’s laws opens us not only to reap the consequences of our choices, but also to being more vulnerable to attacks by satan. Hiding God’s Word in our hearts keeps us from sinning. Memorizing Scripture and meditating on it helps us to make right choices. God’s Word shows us the way we should go. It illuminates our thinking opening creative options when all ways seem blocked. Teach me, O LORD, to follow your decrees; then I will keep them to the end. Give me understanding, and I will keep your law and obey it with all my heart. Notice that David promises to follow God’s laws as God leads him in greater understanding of them. With such a valuable resource, David understands that simply reading God’s Word and not obeying it is a travesty and an affront to God. Scripture describes us as “fearfully and wonderfully made” (Psalm 139:14). David understood that the One who created man is worthy of man’s obedience. He also knew that God didn’t create man and then walk away – He remains actively involved in our world and in our lives if we invite Him in. All of this leads David to one final overriding theme: Praise for God and His Word. I like this verse. It challenges me to rejoice over God’s Laws no matter what my circumstances are – wherever I happen to be lodging at the moment, Lord, let me rejoice in Your Laws. At midnight I rise to give you thanks for your righteous laws. Your word, O Lord, is eternal, it stands firm in the heavens. Your statutes are my heritage forever; they are they joy of my heart. Wow! Another verse that I love. 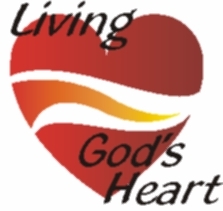 God’s Laws are the joy of David’s heart and are so rich that he considers them his heritage – his inheritance – that thing of value that has been passed down through the generation, preserved and passed on to him. They are an inheritance that, when made his own, enabled David to have a lasting legacy. Everything in this life, even those things that are perfect here on earth, has limits. Everything except that which comes from God. His commands are without limits. His Word is without limits – boundless – and they open opportunities for us to have boundless influence. Thank you, Lord, for allowing me to partner with You to impact my world and beyond. Teach me Your ways so that I might know You better. In yesterday’s blog, “But” Out, I encouraged all of us to leave the “but” out when giving thanks. Often we know that we have much to be thankful for, but… And that “but” robs us of the joy of the blessing. I am blessed to have a nice home, but it needs a new roof and I can’t afford one right now. I am blessed to be able to write this blog, but there’s so much more I want to do with Apprehending Grace Ministries and I simply don’t have the time. In each case, I rejoice over the blessing, but before that rejoicing is fully enjoyed, the “but” steals all or part of my joy. So let’s choose to leave the “but” out so that we can fully enjoy the blessing! There is, however, a time for putting the “but” in, and that’s when we are focusing on the “buts” of God. Two of my favorite phrases in the Bible are “but God…” and “but the Lord…” They are the phrases that indicate a tremendous change in circumstance that would not have happened had it not been for a sovereign move of our Lord on behalf of an individual or group of people. There are many verses in the Bible where you’ll find these phrases. I’ve organized a few of them according to the action God took when He sovereignly interrupted others’ lives throughout history. We can count on God to do the same thing in our lives. Day after day Saul searched for [David], but God did not give David into his hands. A righteous man may have many troubles, but the LORD delivers him from them all. We can trust God to protect us when we are in danger and when others attack us or seek our destruction. I love this verse – “But God remembered Noah…” It gives me confidence that when I have stepped out for Him, as Noah did, He will remember me and send whatever is needed to care and provide for me. Sometimes we can’t see what God is doing – in the natural it seems that our flesh and heart are failing. Even in those times, God can be our strength and we have the promise that He is our portion (or inheritance) forever. I love this category of verses. God moves in and through the lives of people, despite their circumstances and abilities, to accomplish His will. I love it because of the promise that His plan will be accomplished and I love it because it promises that He can use me despite my circumstances and abilities. 21“We were slaves of Pharaoh in Egypt, but the Lord brought us out of Egypt with a mighty hand. 22Before our eyes the LORD sent miraculous signs and wonders—great and terrible—upon Egypt and Pharaoh and his whole household. 23But he brought us out from there to bring us in and give us the land that he promised on oath to our forefathers. 9Because the patriarchs were jealous of Joseph, they sold him as a slave into Egypt. But God was with him 10and rescued him from all his troubles. He gave Joseph wisdom and enabled him to gain the goodwill of Pharaoh king of Egypt; so he made him ruler over Egypt and all his palace. But the Lord provided a great fish to swallow Jonah, and Jonah was inside the fish three days and three nights. God can intervene in the midst of our rebellion. Sometimes that intervention is unpleasant because God knows what is required to get our attention and turn us around. Jonah repented in the belly of the great fish and cried out to the Lord for help. God did just that and Jonah went on to preach to the Ninevites who all repented and turned to the Lord. Indeed he [Epaphroditus] was ill, and almost died. But God had mercy on him, and not on him only but also on me, to spare me sorrow upon sorrow. Like water spilled on the ground, which cannot be recovered, so we must die. But God does not take away life; instead, he devises ways so that a banished person may not remain estranged from him. This is another of my favorite verses. Death seems so final and irreversible…“But God…devises ways…” I love serving a God of infinite possibilities. 23This man was handed over to you by God’s set purpose and foreknowledge; and you, with the help of wicked men, put him to death by nailing him to the cross. 24But God raised him from the dead, freeing him from the agony of death, because it was impossible for death to keep its hold on him. This is the verse that God used most when I was struggling to understand Him and trust Him with my life. I was resisting Him, but He loved me through it. 4But because of his great love for us, God, who is rich in mercy, 5made us alive with Christ even when we were dead in transgressions…And God raised us up with Christ and seated us with him in the heavenly realms in Christ Jesus, 7in order that in the coming ages he might show the incomparable riches of his grace, expressed in his kindness to us in Christ Jesus. We were dead in our transgressions and sins, “but God” chose to give us life. Not just any life, but life in Christ. And He chose to raise us up with Him and seat us with Him in heavenly realms. Why? So that in the coming ages He might show us the incomparable riches of His grace. No matter what our circumstances are, we can trust that God will move to change them. In an instant, our story will change from “I am in great need” to “but God provided for me;” or “but God delivered me.” I didn’t include all the instances of God interrupting the flow of history and changing life circumstances. If you’ve been reading the references, you noticed that the verses come from both the Old and New Testament and cover from the beginning of time through all of eternity. God has always been at work in the lives of His people (and often in the lives of those who deny Him) and He always will be. Yesterday we were encouraged to leave the “but” out of our thanksgiving. Today, I am encouraging to put the “but God” into our circumstances. Trust the God you know to meet your needs, whether they are for healing, provision, comfort or salvation. He has proven Himself faithful over the millennia – why should we choose to believe the lies of satan that He will abandon us now? What is the Cost of Your Offering? If you’re Resting at the River’s Edge with us, you read this story late last week. David was King and Araunah was happy to give him his land and everything he needed for the offering. But David was making an offering and a sacrifice to his King. Taking the free gift from Araunah would not have been much of an offering/sacrifice from David. It is to David’s great credit that he didn’t take the easy way out here. Note, Those know not what religion is whose chief care it is to make it cheap and easy to themselves, and who are best pleased with that which costs them least pains or money. What have we our substance for but to honour God with it? and how can it be better bestowed? Those whose primary goal is making things as cheap and easy on themselves as possible aren’t seeking God with all their hearts. What is the purpose of all we have, if not to honor God? Can there be a better use for our possessions, energy and time but to use them to serve Him? I was convicted by David’s statement and doubly challenged by Matthew Henry’s. I wonder – am I serving God sacrificially? Do my offerings cost me something or is He getting the leftovers? Is He getting service in my spare time and with my spare energy and money? Tithing: If giving 10% is easy – if your income is such that you can easily live on 90% – would God be honored by you giving more? And is there any better thing you can do with the “more” than give it to God? Ministry/Service: Have you said “yes” to so many opportunities to serve that perhaps your service is costing you time, but you have no effort or “overflow” to minister out of? Or maybe it’s not so many opportunities to serve that takes your time, but all the other activities in your life. Is God getting the dregs, last minute, jump in the car and go, then wing it when you get there service? If so, I would contend that your service isn’t costing you what it ought. Maybe you need to be involved in less activities, and perhaps even less ministry activities, so that your offerings of service are complete offerings of all that you are. Time with God: Is your time with God filled with constant distractions of this world, shortened by earthly demands, and less consistent than your other commitments? The enemy is a master at distracting us during our quiet time, and I’m not here to bring condemnation about it. But there are distractions that are brought on by the enemy and there are distractions that come up simply because of our own lack of discipline or planning. I’m talking about the latter here. My time with God ought to cost me something – it ought to be a sacrifice of all I am to focus on Him. Sadly, often it is not. This is not a word meant to bring condemnation, but it is a word that is meant to encourage you and me to do better. I want my offerings to the Lord to have value – that means they must cost me something – because that’s how we value things here on earth – and if it’s not of value to me, I haven’t given an appropriate offering to God. Lord, forgive me when I have taken You for granted! Help me to change. Help me to love you more, and to demonstrate that love by giving honestly of my time, money, talents, energy, and love to You. Comments Off on What is the Cost of Your Offering? I sat down to write a blog about 2 Samuel 24:24, in which King David replies to Araunah’s’ offer of free land to build an altar on and free animals to sacrifice to the Lord “No…I will not sacrifice to the Lord my God burnt offerings that cost me nothing.” What a powerful statement. And I’m so wanting to write it, but first I looked over previous blogs to see if I had already written about this verse. What I found was a blog I wrote almost two years ago that’s along the same lines of my heart’s meditation over the past few days…I just didn’t remember that I had blogged about it. Perhaps you’ve forgotten the blog, too. It is a blog that grew out of David’s song of praise in 2 Samuel 22. David’s life had many ups and downs – he lived in caves and he lived in palaces – and praised God in both. Our God is worthy of our praises whether we are currently in the cave or on the mountain top. This blog from November 2008 covers the topic so well and I was so blessed to re-read it, I thought you would be too. So today’s blog is a reminder of things past. Tomorrow’s will be about David’s reply to Araunah.